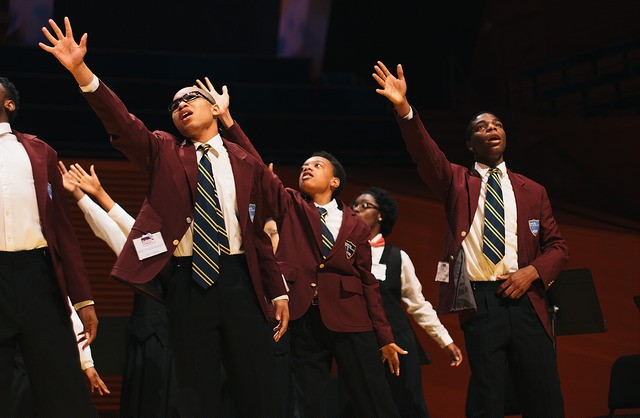 The Kauffman Center for the Performing Arts is passionate about providing opportunities for youth artists and future arts professionals to utilize our wide array of resources. 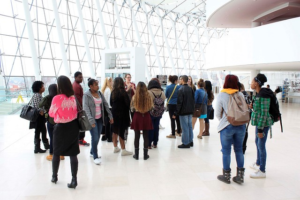 The Open Doors Spotlight on Youth initiative offers a diverse set of engagements and programs that connect tomorrow’s artists, arts patrons, and arts administrators with the Kauffman Center’s staff and stages. Future Stages Festival, an annual community event, turns a spotlight on youth performances and family-friendly programming. 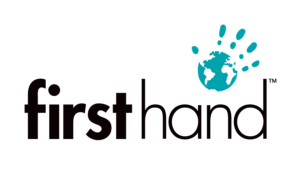 The free festival supports the growth of future artists with a focus on youth ages 5-18. Future Stages Festival invites all ages to experience the arts and introduces young audiences to the Kauffman Center through diverse art forms. The festival showcases local and regional youth performances on four stages along with interactive art activities provided by community arts organizations. As part of our Open Doors Spotlight on Youth program, students can participate in a special backstage experience. 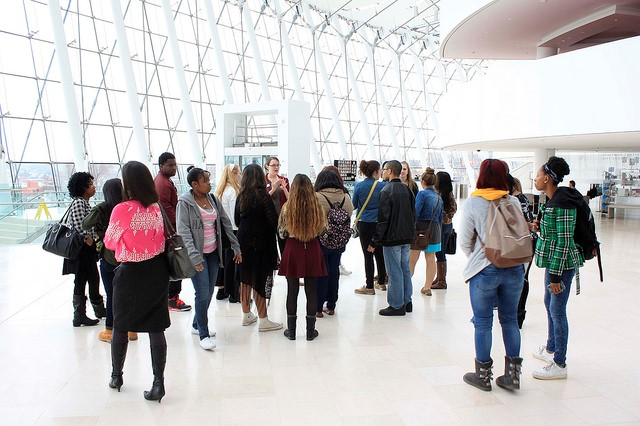 Students will engage in hands-on-activities, tours, and discussions with some Kauffman Center production staff members. 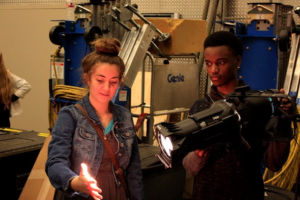 This unique experience is designed to introduce high school and/or college students to careers in technical theatre and arts administration including lighting, sound, venue management, patron services and marketing. 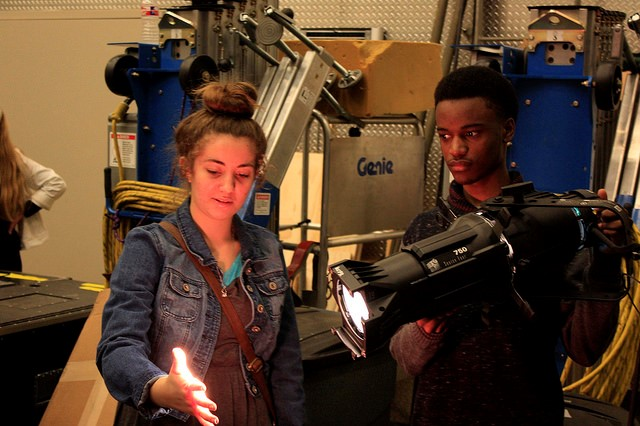 Participants will be amazed by all the work that happens backstage to create a successful production! 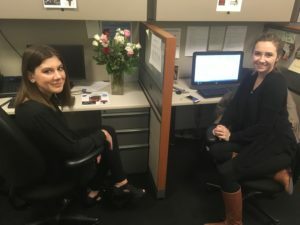 Scheduling is based on staff and facility availability, and the Kauffman Center staff typically hosts no more than one Backstage Intensive a quarter. 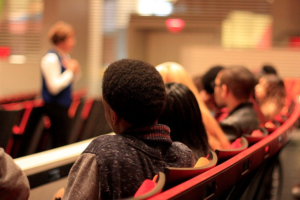 Duration: Lasts anywhere from 90 minutes to 5 hours depending on availability and student interests. The Kauffman Center for the Performing Arts is dedicated to creating opportunities for young professionals and students to grow their career skills and make lasting connections in the thriving Kansas City arts community. 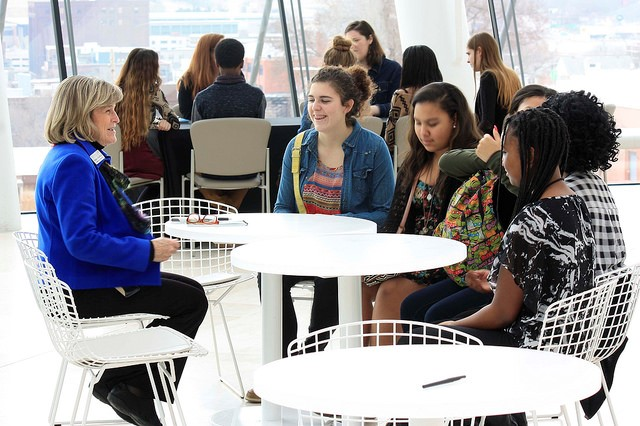 Currently enrolled college students or recently graduated professionals are encouraged to apply for Kauffman Center internship opportunities. Kauffman Center interns receive hands on experience in various aspects of non-profit arts management as well as networking opportunities, professional development and career mentorship.